The company had been manufacturing audio systems in Monaghan since 1978, but will wind down and cease operations in April. HEADPHONE GIANT BOSE is to cease operations at its plant in Carrickmacross — with the loss of 140 jobs. The company has been manufacturing audio systems in Monaghan since 1978 but will wind down and cease operations in April. The firm says it will be “consolidating its wholly-owned manufacturing operations, closing its facilities in Columbia, South Carolina, and Carrickmacross, Ireland, to streamline the company’s global supply chain”. Bose employs around 10,500 people and has sales of $3.3 billion. Carrickmacross provides final assembly for select home theatre systems and radios for the European market, as well as some remanufacturing for the region. Operations will transfer to Bose facilities in Malaysia and Mexico. 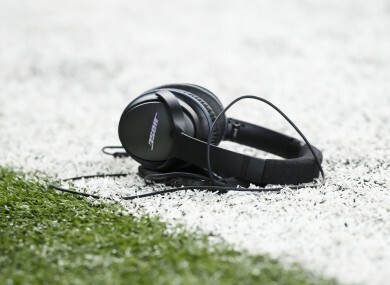 Bryan Fontaine, Bose executive vice president of global operations and corporate development engineering, said the move came to keep pace with demand from customers and resellers. Siptu representatives will meet with management to discuss its plans, the union said in a statement this evening, following the announcement. Organiser Jim McVeigh said the “devastating” news came “as a complete bolt out of the blue”. Workers have been given tomorrow off but the meeting has been arranged for Monday. Siptu hopes it can salvage the jobs. Politicians from the area are also rallying to help the workforce, the majority of whom live in the locality. Local Fine Gael TD Sean Conlan said the announcement came as “a shock to everybody” in the area with no prior notification that it was happening. “I’ve been in touch with the Minister for Jobs, Richard Bruton, and have asked him to put together a coordinated effort with the IDA to immediately address this situation,” he told TheJournal.ie this evening. Midlands North West Sinn Féin MEP Matt Carthy, who is from the town, said he is “devastated” at the news. “I know many of the 140 full time Bose staff personally and I am absolutely devastated to hear of the planned closure of this manufacturing plant in Carrickmacross. The plant is a well established local employer and the announcement today will cause widespread disbelief. “Today’s announcement is not just a harsh blow to the staff and their families but to the wider community and local economy, which will be severely impacted by the closure of the plant. Email “Shock in Monaghan as Bose closure sees 140 jobs axed”. Feedback on “Shock in Monaghan as Bose closure sees 140 jobs axed”.